Siwertell has installed a grain handling system for both unloading and loading of soya beans as part of the floating terminal at Itacoatiara on the Amazon River in Brazil, elaborated for Hermasa Navegação da Amazõnia SA. 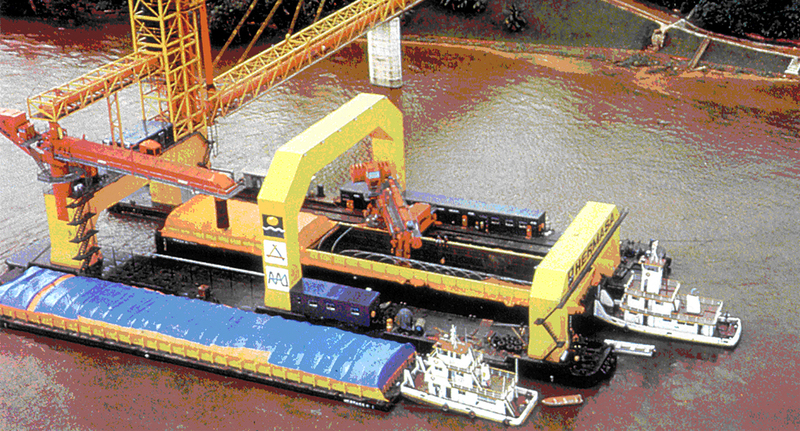 The Siwertell continuous screw-type barge unloader, travelling on rails along the length of a catamaran-type pontoon, plays an important role in a floating grain transhipment terminal installed at Itacoatiara on the Amazon River in Brazil. 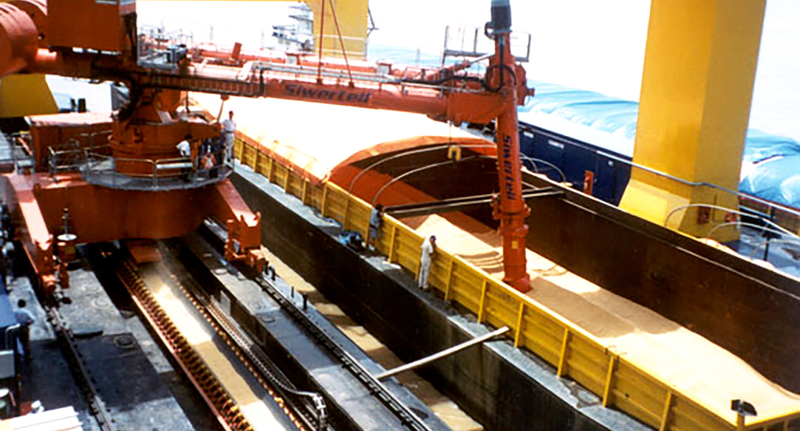 Mounted on the pontoon, which is 86m long and 35m wide, and serving as a platform for all discharging, handling and loading equipment, is also a ship loader of belt conveyor type - also supplied by Siwertell. 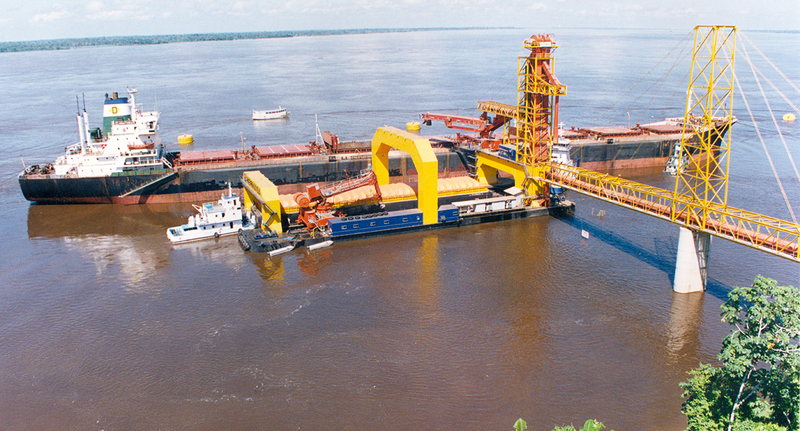 Soya beans arriving in river push barges from Porto Velho on the Madeira River are unloaded at the Itacoatiara terminal and either conveyed into an intermediate storage on-shore, or transhipped directly into ocean-going ships at a rate of 1,500t/h. The floating terminal concept, which has been elaborated for Hermasa Navegação da Amazõnia SA, provides a useful and efficient link for waterbound transportation, as supposed to the road transportation system used previously to take soya beans from the hinterland of Brazil to export harbours. Siwertell was chosen for the project in order to ensure environment-friendly and efficient transhipment operation. Hermasa Navegação da Amazônia S.A.